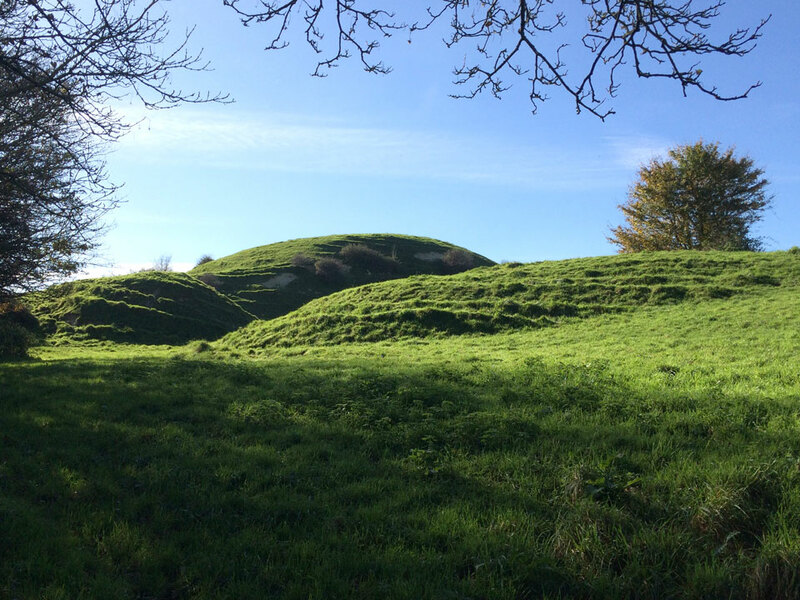 A motte and bailey on top of the ridge at Castle Hill on the west side of the road. 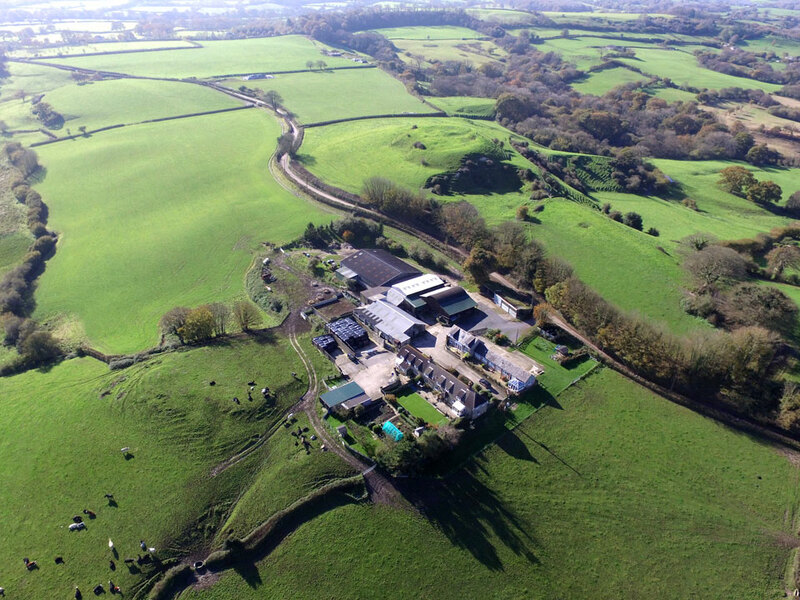 The motte is oval, measures about 210 feet by 180 feet and rises about 30 feet above the bailey. It has been damaged by quarrying. Two hundred yards to the east is East Chelborough Stake Farm which also appears to be the remains of a motte and bailey castle. 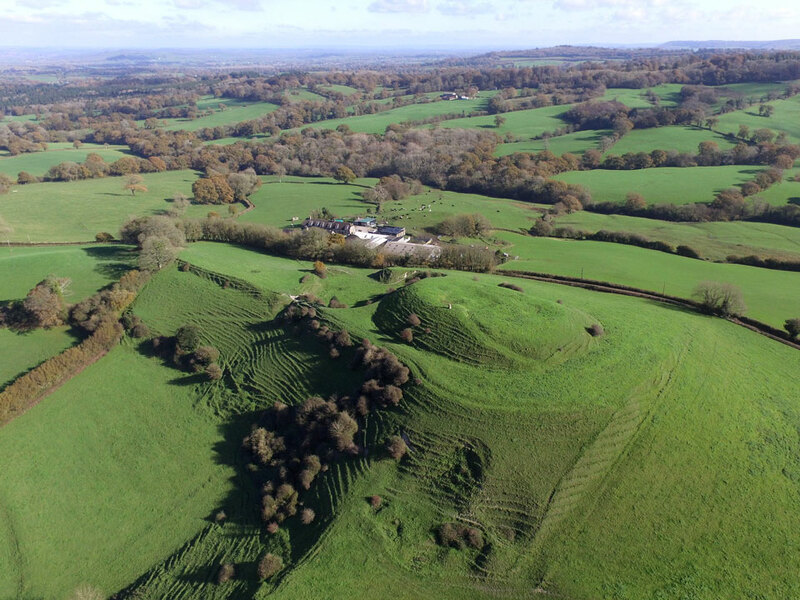 The motte measures 90 feet by 150 and is about 6 to 10 feet high with a bailey to the east. It may be a precursor to the castle at Castle Hill.